During the cold war, Goslar was part of Eastern Germany and host to a huge army camp. 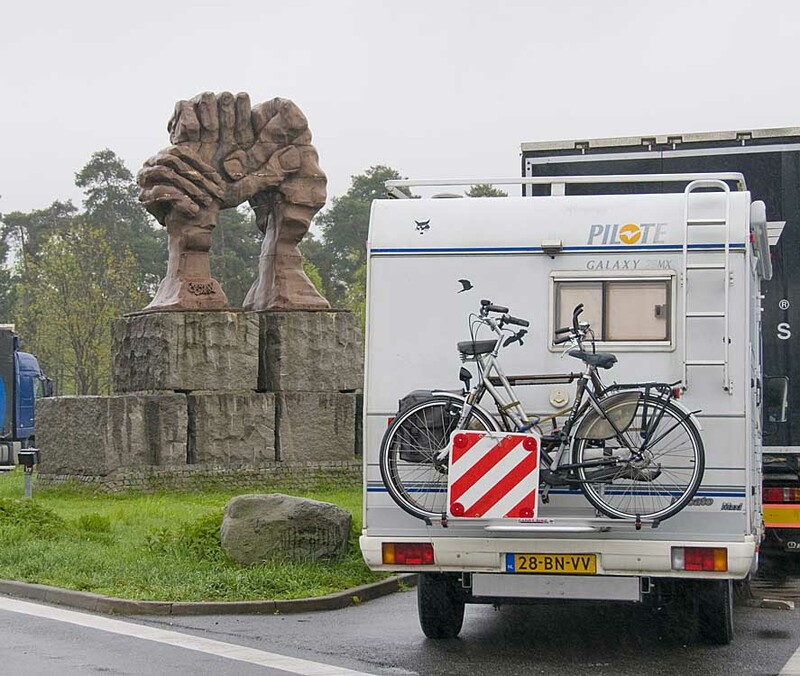 After reunification the camp was dismantled and the city suffered serious economic disruption as a result. Even today, unemployment is high and the city, which has invested enormously in the development of tourism to rebuild revenues, was fortunate to make the World Heritage listing in 1992. Just south of town is Rammelsberg, a 2000 foot high mountain, housing a mine that was in continuous operation for more than 1,000 years before its closure in 1988. During its life, 30 millions tons of ore containing Copper, Gold, Lead, Silver and Zinc were removed. 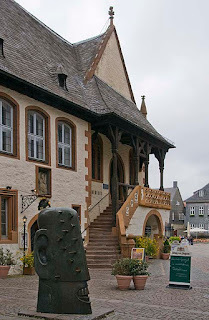 Goslar has been home to Neolithic man, the Saxons, the Holy Roman German empire, Reformation, Enlightenment, German Nationalism, Emancipation, Militarism, German Imperialism, Democratization, the Nazis, Soviet dictatorship and, as of 1990, reunification with the west. The Imperial Palace was built in the 11th century and served as a summer residence for German emperors. The cathedral was built at the same time, but only the porch survives, the rest having being torn down in 1820. The city is a regional shopping center with department stores, supermarkets and boutiques as well as a weekly farmer's market. Goslar is also the ancestral home of the Siemens family, founders of the eponymous international conglomerate. For additional snapshots, click here. 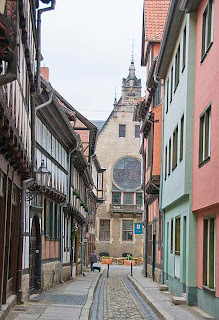 Quedlinburg was one of those "might as well since we are here" opportunities that turned out to be a true gem. 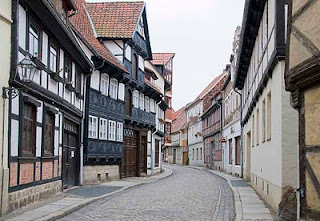 In the Harz district of Saxony-Anhalt, Germany, Quedlinburg has been a UNESCO World Heritage site since 1994. Mention of the town can be found in the early 9th century and later the town became the province of King Henry the Fowler. Henry died in 936 and his widow, Saint Mathilda, founded a convent on the castle hill, where daughters of the higher nobility were educated. The abbey was secularized in 1802 during the German Mediatization when Quedlinburg was absorbed into the Kingdom of Prussia. Five years later it was lost to the Napoleonic Kingdom of Westphalia before being won back by the new Prussian Province of Saxony in 1815. During the Nazi regime, for unknown reasons, King Henry took on cult status and Heinrich Himmler imagined himself to be the reincarnation of the "most German of all German" rulers. Plans were made to turn the collegiate church and castle into a shrine for Nazi Germany and the Party even set out to create a new religion. The cathedral was closed from 1938 until 1945 when Liberation saw the reinstatement of a Protestant bishop and the removal of the Nazi style eagle from the tower. 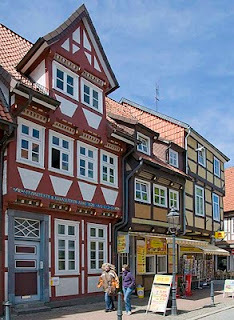 From 1949 to 1990 Quedlinburg became part of Communist East Germany until, on German reunification, it became part of the state of Saxony-Anhalt. 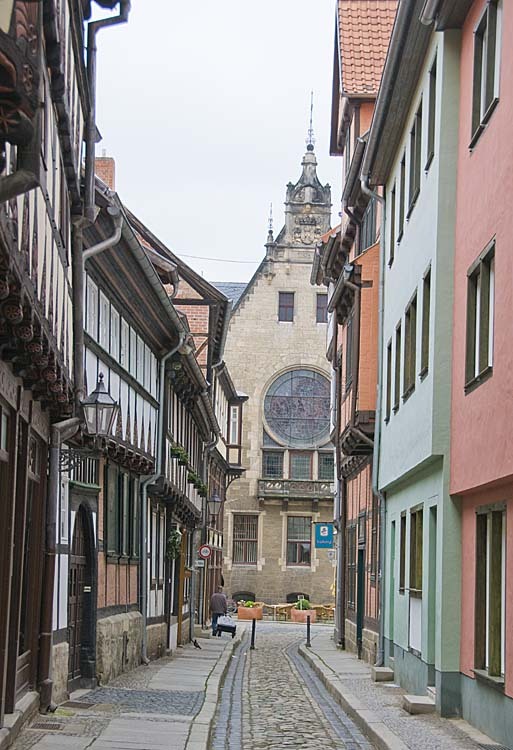 Today, in the innermost parts of the town, there is a wide selection of half-timbered buildings from at least five different centuries. 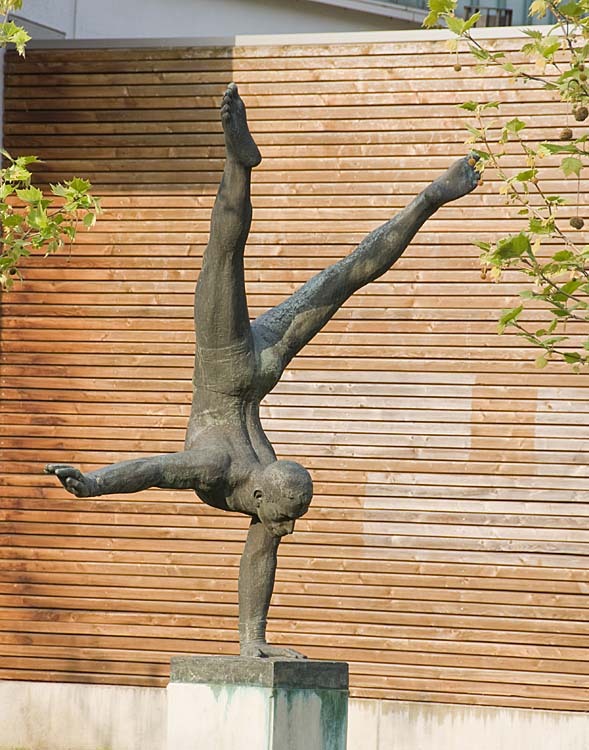 For more images of this exquisite city, see here. 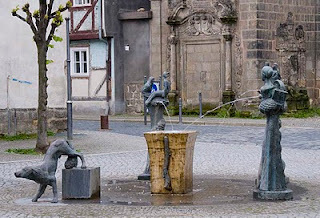 Wittenberg, officially known as Lutherstadt Wittenberg, is a small city of 50,000 people on the river Elbe in north eastern Germany. In 1502 the University of Wittenberg was founded and became the center of activity for Martin Luther who, in 1508 at the age of 25, became a Professor of Theology there. 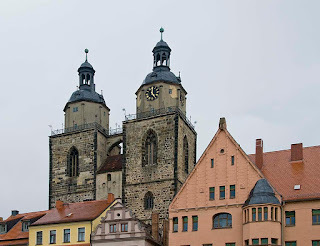 Had it not been for Martin Luther, Wittenberg would probably have remained just another rural backwater German city. Luther however, become increasingly aggrieved by the Catholic church practice of selling indulgences - that is allowing wealthy folk to buy forgiveness for their misdeeds by giving money to church Bishops. Folklore has it that Luther nailed 95 theses on this topic to the doors of the All Saints' Castle Church in 1517. This part of the story, like other elements of Wittenberg folklore, actually appears to be romantic fantasy but there is no doubt that Luther's activities there sowed the seeds for the Protestant Reformation leading to a massive religious upheaval and European-wide warfare. 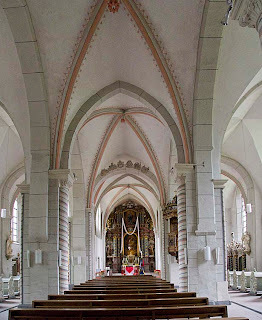 The Castle Church was damaged by fire in 1760, during the Seven Years War with France, and the doors (along with the mythical pamphlets) were destroyed. Even though the church was patched up, it wasn't before 1858 - almost 100 years later - that new bronze doors were installed and these, indeed, were inscribed with the text of the theses in Latin. Fanciful thinking apparently had won out over reality and morphed into "fact". The tomb of Martin Luther is inside the Church. A couple of other Wittenberg myths are connected to WWII. Unlike many historic German cities in the region, Wittenberg was spared major destruction although there was some fighting in the streets. The statue of Martin Luther that stands in the main square has some pock marks on it proudly pointed to by locals as WWII bullet holes. Nice try, but the statue was actually in storage some miles out of town for the duration of the war. 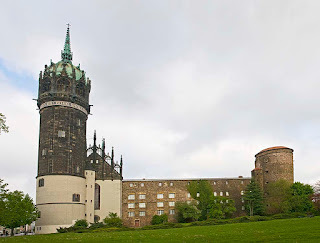 The other piece of romanticism holds that the Allies had agreed not to bomb Wittenberg and that was the reason the city escaped serious damage. Reality was that the Arado Flugzeugwerke (Arado Aircraft Factory), a Luftwaffe production facility, was on the outskirts of town and the allies did indeed avoid action for a long time, but for a unilateral and humane reason. The factory was staffed by forced labor including Jews, Russians, Poles, political prisoners and even a few Americans. Near the close of the war, American and British planes did bomb the factory tragically killing about one thousand prisoner workers. 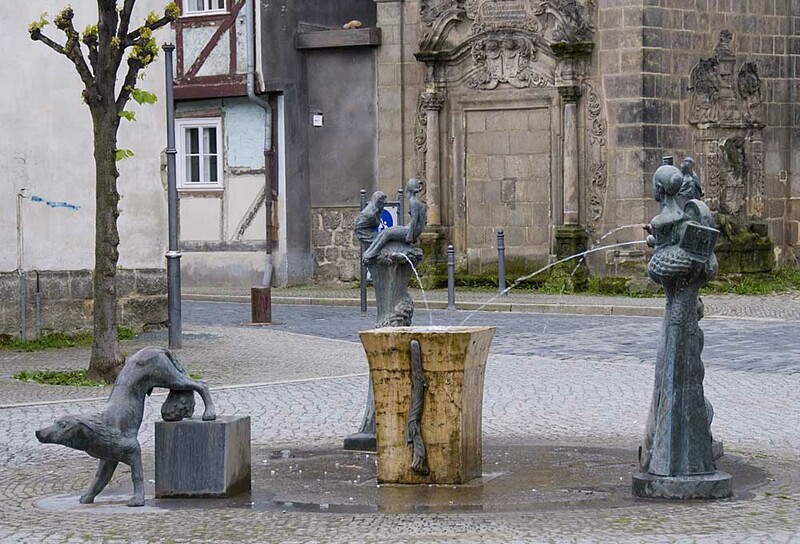 When the war ended in 1945, Wittenberg was occupied by Soviet forces and became part of East Germany in 1949. It has since of course, been reunited with western Germany since 1990. Picture show here. 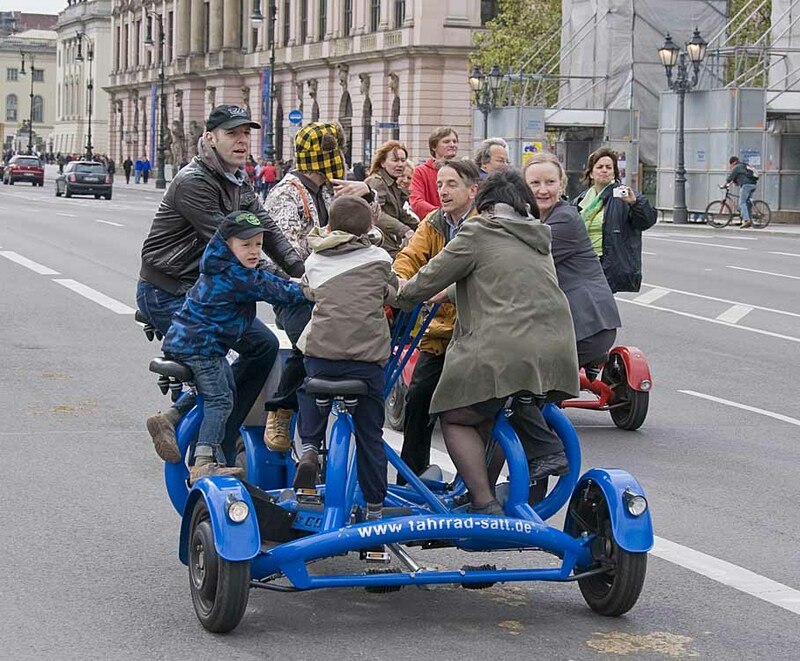 Berlin, once again the capital city of Germany, is also one of the sixteen states of the reunified country. With a population of 3.4 million, it is Germany's largest city and is located in northeastern Germany. Approximately one third of the city's area is composed of forests, parks, gardens, rivers and lakes. 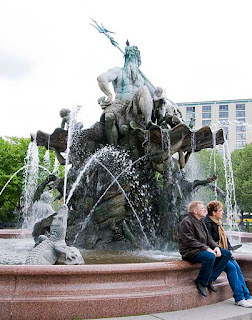 First documented in the 13th century, Berlin initially became the capital of the German Empire shortly after its formation in 1871 and the city expanded rapidly in the following years. 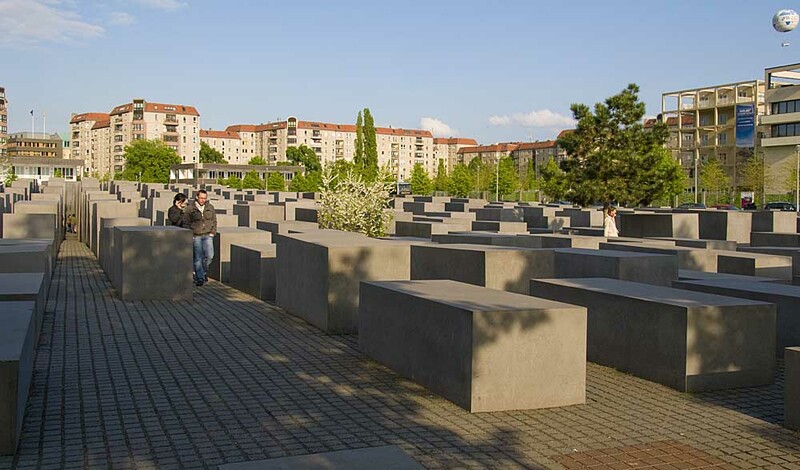 The city's character has been shaped, or perhaps confused, by the turbulent roles it has endured in Germany's history, especially during of the 20th century. 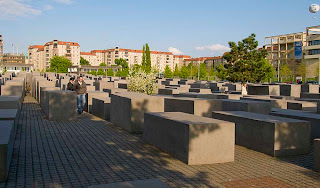 Each of the national governments based in the city - ​the original 1871 German Empire, the post WWI Weimar Republic, Nazi Germany of 1933, East Germany in 1950, and now the 1991 reunified Germany​ - embarked on grandiose construction programs, each with little regard to what came before. Exacerbating the devastation of WWII bombings, many of the remaining historic buildings were torn down in the 1950s and 1960s, by both the Western and Eastern governments, to make way for municipal architectural programs competing to build two distinct cities. The result is an unsettling hotch-potch of styles and neighborhoods. The site of Checkpoint Charlie, one of the renowned crossing points of the cold war Berlin Wall, is still preserved and also has a museum. All four allies in fact shared responsibility for Berlin after WWII but, in 1948 when the West introduced the west German Mark as the currency for Berlin, the Soviet Union imposed a blockade on the landlocked American, British and French sectors. The blockade was eventually beaten by the Berlin Airlift, which flew in food and other supplies to the city from 24 June 1948 to 11 May 1949. On October 3, 1990, the two parts of Germany were reunified as the Federal Republic of Germany, and Berlin became the German capital for the fifth time in accordance with the unification treaty. In June 1991 the German Parliament, the Bundestag, voted to move the German capital back from Bonn to Berlin. For a picture show of this long suffering metropolis, click here. 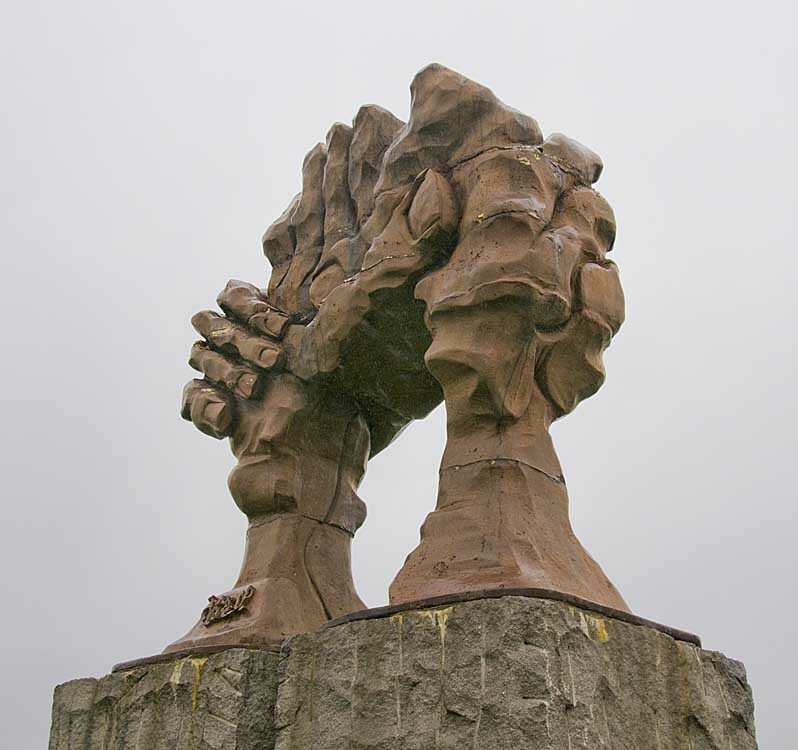 Helmstedt is at the eastern edge of Lower Saxony, the border of which marked the transition from the British chunk of Germany to the Soviet portion. Berlin, a further 105 miles to the east, mirrored the arbitrary division of the entire country of Germany into four pieces and was itself divided into American, British, French and Soviet sectors. Fairly quickly after WWII ended and the Cold War got underway, three Checkpoints sprang to prominence: Checkpoint Alpha, Checkpoint Bravo and the most renowned of all, Checkpoint Charlie. Checkpoint Alpha controlled access to the 105 mile east German road connecting Helmstedt to Berlin - more specifically to Checkpoint Bravo on the southwest corner of the American sector. Movement within the American, British and French sectors was unbridled but to enter the Soviet sector (and thereby east Germany) it was necessary to pass through Checkpoint Charlie. It was Checkpoint Alpha that the Soviets closed to initiate the Berlin Blockade from June 1948 until May 1949. 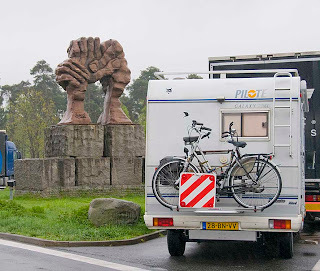 There is little left now of this once expansive checkpoint, its dark passing is marked by a homely memorial called Die Wölbung der Hände (The Curvature of the Hands) as the reunited pieces of Germany struggle to put their lives back together. 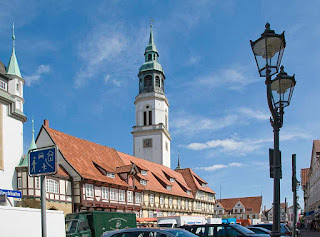 Moving next to Lower Saxony, we visited Celle, a market town of about 70,000 on the River Aller. Celle comprises 17 municipalities, some of which were independent vilages in earlier times. The city was relatively unscathed by WWII with only one serious air raid that occurred in April1945, destroying less than 70 houses or about 2% of the structures. 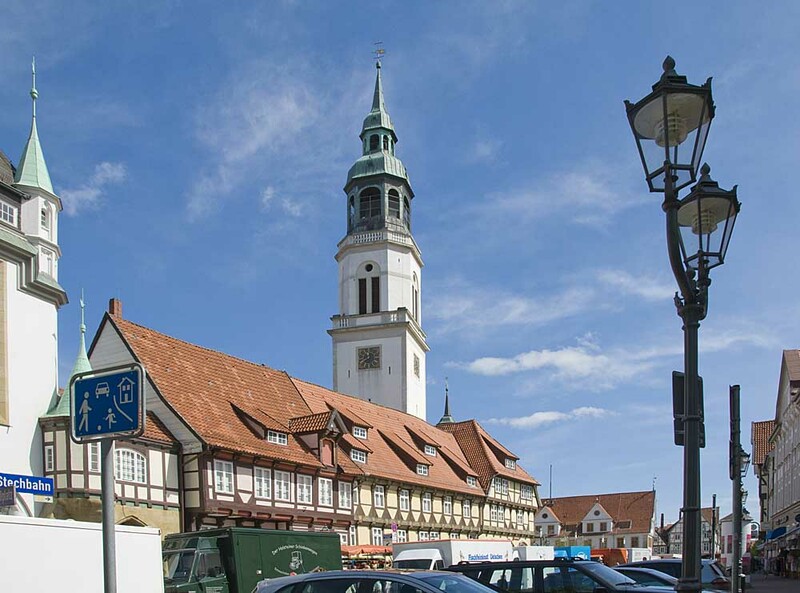 Today, tourism is a large slice of Celle’s economy, with jazz, wine and other festivals in the summer months along with the year round attraction of the hundreds of old town buildings dating back to the 16th century. A romantic looking castle, Schloss Celle, built in 1530 along with the Stadtkirche from 1308 serve as anchor attractions for tourists. Of passing historical interest is the Army airfield 3 miles southwest of the town. This operated as RAF Celle after the Second World War and was the launch point for the 1948/49 supply flights of the Berlin Airlift. 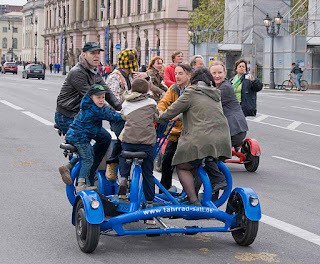 For more pictures of this attractive and lively city, click here.